GW-501516 is a drug that acts as a PPARδ modulator. GW-501516 is a selective agonist (activator) of the PPARδ receptor. It displays high affinity (Ki = 1 nM) and potency (EC50 = 1 nM) for PPARδ with > 1000 fold selectivity over PPARα and PPARγ. GW-501516 activates the AMP-activated protein kinase and stimulates glucose uptake in skeletal muscle tissue. GW-501516 has been demonstrated to reverse metabolic abnormalities in obese men with pre-diabetic metabolic syndrome, most likely by stimulating fatty acid oxidation. It has been proposed as a potential treatment for obesity and related conditions. GW-501516 has also shown to dramatically increase endurance and recovery. In rats, binding of GW501516 to PPARδ recruits the co-activator PGC-1a. The PPARδ/coactivator complex in turn up regulates the expression of proteins involved in energy expenditure. In obese rhesus monkeys, GW-501516 increased high-density lipoprotein (HDL) and lowered very-low-density lipoprotein (VLDL). The mechanism by which PPARδ agonists increase HDL appears to be a result of increased expression of the cholesterol transporter ABCA1. GW 501516 can be ran in 8-12 cycles and can also be ran in conjunction with any SARM, steroid or supplement. As with any other steroid or supplement, it should be cycled properly to avoid any possible side effects and the keep it as effective as possible. 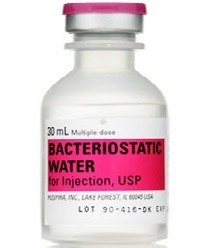 GW-501516 also has a very long half life, so it can be dosed once a day or split 12 hours apart. The most effective method of dosing is to take it in one serving, 30 minutes prior to working out. On non workout days, once a day dosing in the morning is the best method. 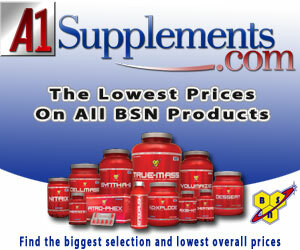 If a split dosage is used, 10-12 hour splits are optimal. There are constant debates and many studies arguing the potential side effects for a user. There are studies showing that GW-501516 has caused cancer in rats while other studies refute it. The ONE study that was conducted that showed this issue was deeply flawed and refuted time and time again. GW-501516 dosing was not only abused but ran at insurmountable amounts of time within this study. When ran properly, it has actually been used as a cancer treatment. There are no known side effects associated with GW use and the only need to cycle off is so that one’s body does not acclimate or desensitize to use. There is no suppression, no toxicity and no other common side effects. This makes GW even more desirable amongst the bodybuilding community. GW-50156 regulates fat burning through a number of widespread mechanisms. GW-501516 increases glucose uptake in skeletal muscle tissue and increases muscle gene expression, especially genes involved in preferential lipid utilization. This shift changes the body’s metabolism to favor burning fat for energy instead of carbohydrates or muscle protein, potentially allowing clinical application for obese patients to lose fat effectively without experiencing muscle catabolism or the effects and satiety issues associated with low blood sugar. GW-501516 also increases muscle mass, which improved glucose tolerance and reduced fat mass accumulation even in mice fed a very high fat diet, suggesting that GW-501516 may have a protective effect against obesity. GW-501516 is a selective agonist (activator) of the PPARδ receptor. It displays high affinity (Ki = 1 nM) and potency (EC50 = 1 nM) for PPARδ with > 1000 fold selectivity over PPARα and PPARγ. In rats, binding of GW501516 to PPARδ recruits the co activator PGC-1a. The PPARδ/coactivator complex in turn up regulates the expression of proteins involved in energy expenditure. Furthermore in rats treated with GW501516, increased fatty acid metabolism in skeletal muscle and protection against diet-induced obesity and type II diabetes was observed. In obese rhesus monkeys, GW-501516 increased high-density lipoprotein (HDL) and lowered very-low-density lipoprotein (VLDL). The mechanism by which PPARδ agonists increase HDL appears to be a result of increased expression of the cholesterol transporter ABCA1. An often overlooked benefit of GW-501516 use is the ability to treat poor cholesterol. GW was originally formulated to treat people suffering from cholesterol problems and has shown to significantly increase HDL (good cholesterol) while reducing LDL (bad cholesterol). GW501516 is a drug that acts as a PPARδ modulator. GW501516 is a selective agonist (activator) of the PPARδ receptor. It displays high affinity (Ki = 1 nM) and potency (EC50 = 1 nM) for PPARδ with > 1000 fold selectivity over PPARα and PPARγ. GW 501516 activates the AMP-activated protein kinase and stimulates glucose uptake in skeletal muscle tissue. GW 501516 has been demonstrated to reverse metabolic abnormalities in obese men with pre-diabetic metabolic syndrome, most likely by stimulating fatty acid oxidation. It has been proposed as a potential treatment for obesity and related conditions. GW has also shown to dramatically increase endurance and recovery. In rats, binding of GW501516 to PPARδ recruits the co-activator PGC-1a. The PPARδ/coactivator complex in turn up regulates the expression of proteins involved in energy expenditure. In obese rhesus monkeys, GW501516 increased high-density lipoprotein (HDL) and lowered very-low-density lipoprotein (VLDL). The mechanism by which PPARδ agonists increase HDL appears to be a result of increased expression of the cholesterol transporter ABCA1. The other main use of GW is to aid in fat loss. GW has shown to melt away fat at a rapid pace. Another strong component of GW is that it is non catabolic, meaning it allows a user to lose fat and not have to sacrifice muscle. Many people that are on a fat burning diet are sacrificing a lot of muscle. GW allows a user to hold on to much more muscle than a standard fat lass diet or other fat loss compound would allow. GW also shines when ran in conjunction with other SARMS. 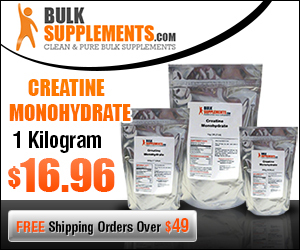 When stacking GW with Ostarine and S4, users can add lean muscle while still losing weight and body fat. This makes GW highly desirable for many. The most optimal dosage for fat loss is 20 mg a day but users will still be able to receive this benefit at 10 mg a day. GW-50156 regulates fat burning through a number of widespread mechanisms. GW increases glucose uptake in skeletal muscle tissue and increases muscle gene expression, especially genes involved in preferential lipid utilization. This shift changes the body’s metabolism to favor burning fat for energy instead of carbohydrates or muscle protein, potentially allowing clinical application for obese patients to lose fat effectively without experiencing muscle catabolism or the effects and satiety issues associated with low blood sugar. GW-501516 also increases muscle mass, which improved glucose tolerance and reduced fat mass accumulation even in mice fed a very high fat diet, suggesting that GW-501516 may have a protective effect against obesity. In rats, binding of GW501516 to PPARδ recruits the co activator PGC-1a. The PPARδ/coactivator complex in turn up regulates the expression of proteins involved in energy expenditure. Furthermore in rats treated with GW501516, increased fatty acid metabolism in skeletal muscle and protection against diet-induced obesity and type II diabetes was observed. In obese rhesus monkeys, GW501516 increased high-density lipoprotein (HDL) and lowered very-low-density lipoprotein (VLDL). The mechanism by which PPARδ agonists increase HDL appears to be a result of increased expression of the cholesterol transporter ABCA1. An often overlooked benefit of GW use is the ability to treat poor cholesterol. GW was originally formulated to treat people suffering from cholesterol problems and has shown to significantly increase HDL (good cholesterol) whle reducing LDL (bad cholesterol). GW also has a very long half life, so it can be dosed once a day or split 12 hours apart. The most effective method of dosing is to take it in one serving, 30 minutes prior to working out. On non workout days, once a day dosing in the morning is the best method. If a split dosage is used, 10-12 hour splits are optimal. There are constant debates and many studies arguing the potential side effects for a user. There are studies showing that GW has caused cancer in rats while other studies refute it. The ONE study that was conducted that showed this issue was deeply flawed and refuted time and time again. GW dosing was not only abused but ran at insurmountable amounts of time within this study. When ran properly, it has actually been used as a cancer treatment. There are no known side effects associated with GW use and the only need to cycle off is so that one’s body does not acclimate or desensitize to use. There is no suppression, no toxicity and no other common side effects. This makes GW even more desirable amongst the bodybuilding community.